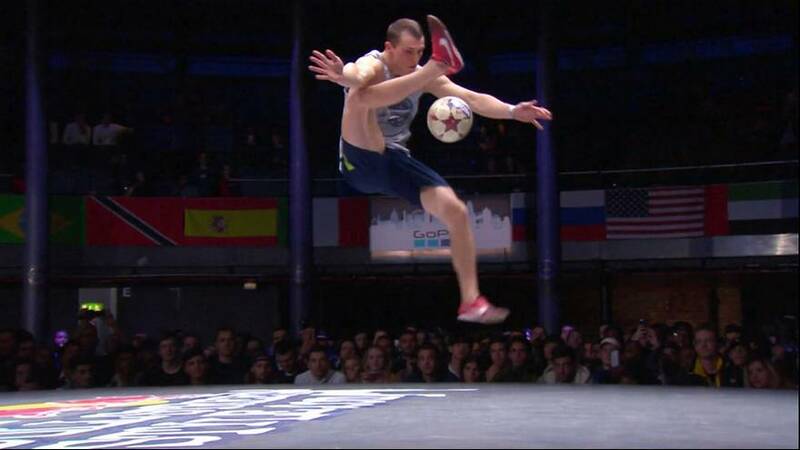 The World Street Style show in London has been dazzling the crowds with footballers showing off special skills you won’t often see on football pitches, but you might see in adverts featuring soccer stars, or at least featuring their faces. Many of those tricks in adverts are produced by players like these, shot from the waist down while Ronaldo, Messi and the like take the lion’s share of the fees. But these are stars in their own right, and with their own adoring fans. Check out the fast feet of this year’s men’s champion, Agentina’s Charly Iacona, for example, runner-up for the past two editions but now number one on his own for the first time. This year’s runner up was a surprise, Japan’s Kosuke Takahashi, who burst onto the scene and gave Iacona a run for his money. In the women’s competition France’s Melody Donchet continues to reign supreme, winning her second consecutive world title. Head of the judges was former England and Manchester United player Gary Neville, who described their skills as “mind-blowing”, adding that despite being a professional footballer he would never be able to any of the things he saw on display.